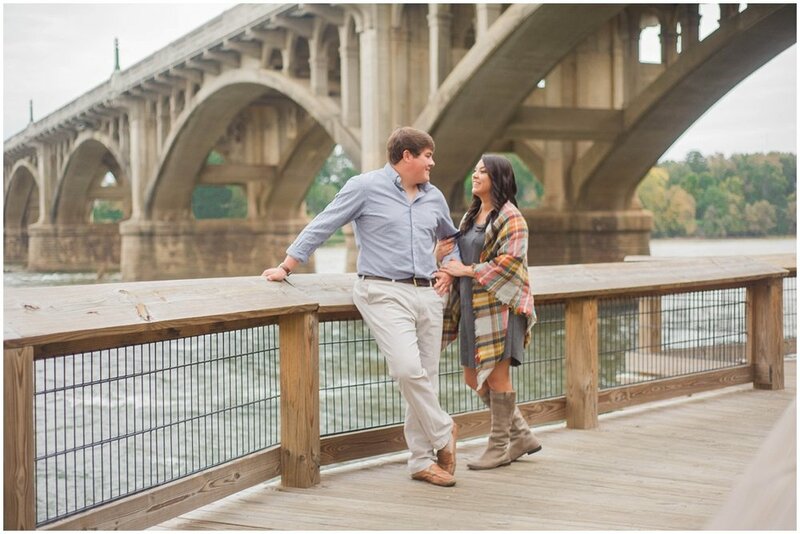 The Riverwalk in Columbia was the perfect backdrop for Catie and Caleb’s fall engagement session. Along with Catie and Caleb, was Catie’s mom and sister, Claire. Having my own sisters, it was so much fun to see Claire fulfilling her maid of honor duties; she and mom were the best hair fixers and support system! The day had called for rain and overcast skies, but we narrowly missed the rain; it began raining as I made my way back home. The session went extremely well, and Catie and Caleb were naturals. Shout out to Caleb who nailed the nuzzle and the dip on the first try! Talk about perfect chemistry between these two! 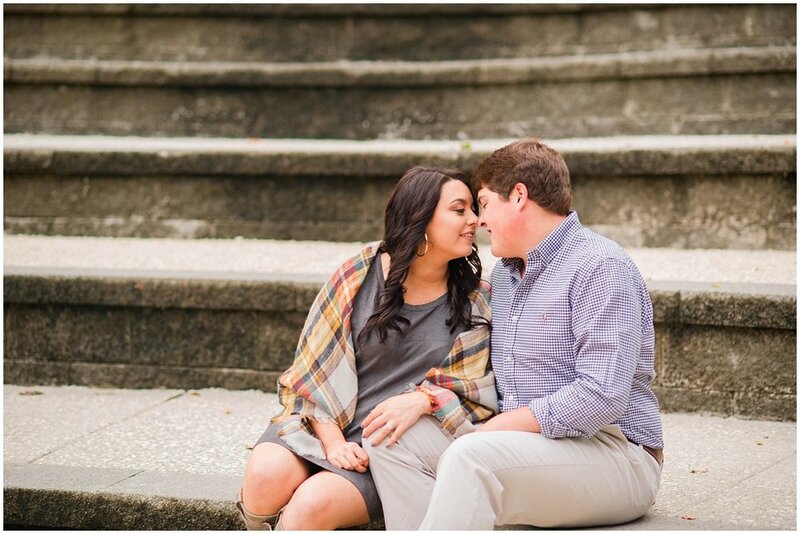 Engagement sessions are one of the best time to get to know me, as your photographer. What I enjoy most is that I can see, prior to the wedding day, what a couple likes, dislikes and does well with, especially if one of the pair is shy. This gives me the opportunity to get to know my wedding couples more easily, and we get to talk all things wedding and how much planning is still in the works, suggestions, etc. I love learning about my couples and seeing them interact with one another. I am so excited that Catie and Caleb chose me to capture their wedding and the special moments leading up to the big day! Check out their session below!